Evidence is, more readily available for the later 1920s, though whether this was a sign of renewed interest in competitive golf outside the club, or just an accident of survival, is open to question. Perhaps the invitation tournament mounted in 1925 was a signal that the management intended to improve the quality of play. Two of the leading professionals of the day, Abe Mitchell and George Duncan, were invited to put on an exhibition on 13 June. Nothing like it had been done since 1904, and there was clearly a very good reason for this adventurous step. Duncan was a rapid player, a great talker and an energetic Scot, a product of the caddy-to-Open Champion school of hard knocks. He had formed an exhibition partnership with Abe Mitchell, after winning the first post-war Open at Deal in 192o. They went everywhere and played frequently together. He and Mitchell, in fad, took over where Braid, Vardon and Herd left off as the standard-setters in British golf Mitchell was the opposite in type to Duncan, taller and of a Sussex rural background. He was quiet, not to say introspective - but a solid, long hitter with arms of immense strength. He was never a Club man, being private professional to Lord Northcliffe and then to Samuel Ryder. He had lost the 1920 Open after gaining a huge lead, and Duncan had a psychological advantage thereafter. Both men were to be offered twelve guineas expenses [£12.60p] and a night at the North Stafford Hotel. A match involving A Gordon Jones and Cuthbert Bailey was part of the, programme. In the event, about two hundred spectators turned up and an anonymous donation was made from the gate money to the North Staffordshire Infirmary. Mitchell weir 69 to 75, setting a course record on what the Secretary noted was a "grand day for golf." It must have been disappointing to the organisers that, despite this fine example, the monthly medal was cancelled five times in 1925. The course that Duncan and Mitchell played over was in the process of change, though the precise nature of the alterations is difficult to define. 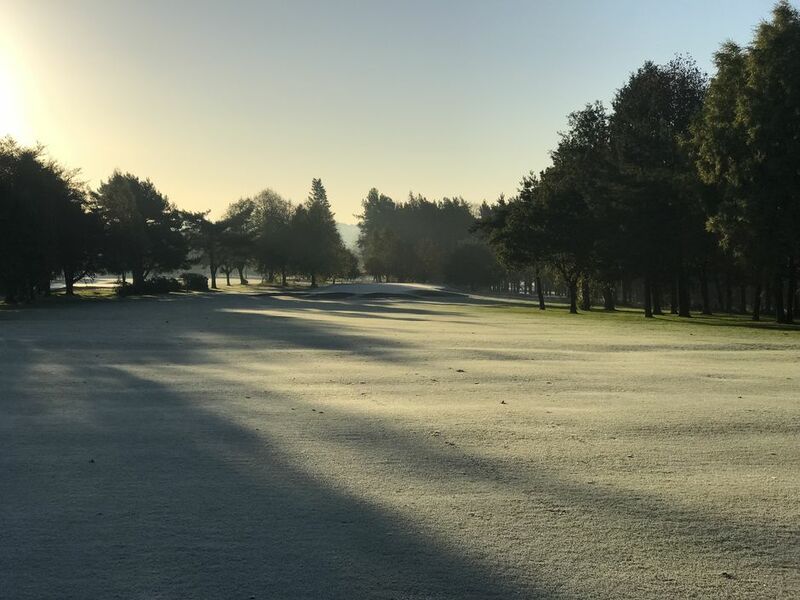 To improve their plans, the Committee called in a firm of golf course architects, Colt and Alison, in November 1925 and the map of the course they drew is the first reliable evidence for the layout of greens and tees. What they called their Number 2 Scheme was adopted, with some reservations, though before 1931 a much more drastic alteration to the sequence of play than they had advised was adopted. That had been a course with two circuits alongside one another, that to the cast with ten holes and the westward one with eight, became two equal loops, one inside. The other, and both having a final green at the Club House. Much of this was achieved by simple renumbering, but overall the course was also lengthened between 1925 and 1931 by 480 yards. Interest in regular competition among the men did increase in 1927 and 1928, but in 1929 a giant step forward was taken when what some hoped would become an annual professional tournament was inaugurated. On 28 September fifty one Club professionals, some of almost the top flight, assembled to compete for a variety of prizes worth from £5 to £40. 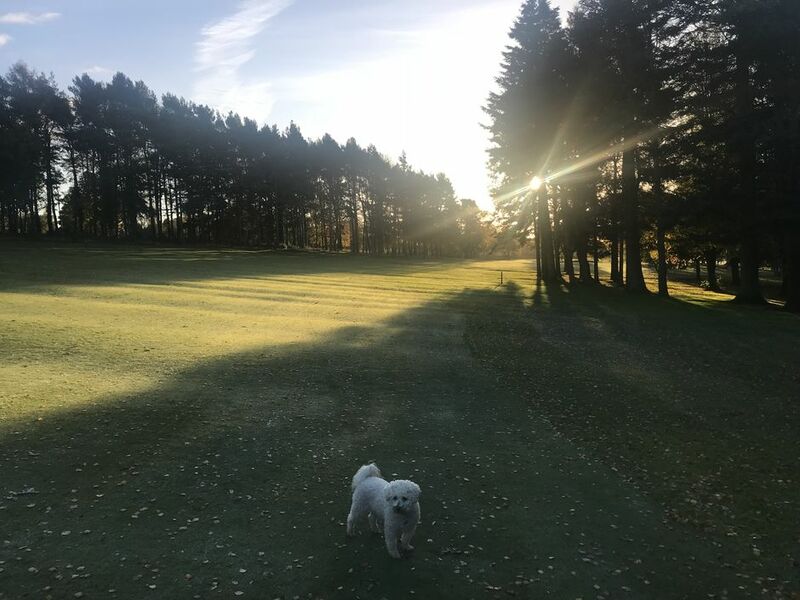 A Ryder Cup team visit to France kept the top men away, but it was reckoned by the Birmingham Post correspondent that the cream of the remainder came to Trentham. Certainly, there was a splendid mixture of experienced, but declining players and potential future stars. Two especially important to Trentham were the veterans of 1904, Sandy Herd and James Braid. They posed again for their photographs on the same spot they had occupied in 1904, but the affectionately indulgent tone of the account of their play in the newspaper clearly indicated their current modest ranking. The Herd 'waggle' was made much of, but he did well to finish in the middle of the pack, with 150 for thirty six holes. Braid could still challenge, finishing two strokes behind the winner with 147, though still in eighth place. Cedric Sayner of Birkdale, J H Busson, junior, of Formby, and K Delby of Bedford County tied for first place. Len Holland of Gerrard's Cross established a new course professional competition record with 69. "There was never a single hitch from dawn when the stewardess began to fry ham and eggs at about 7.00am for the officials who began their work about that time until dusk, twelve hours later, when the professional golfers were sent away with their prizes and a delightful souvenir of local pottery in the shape of an ash tray .... 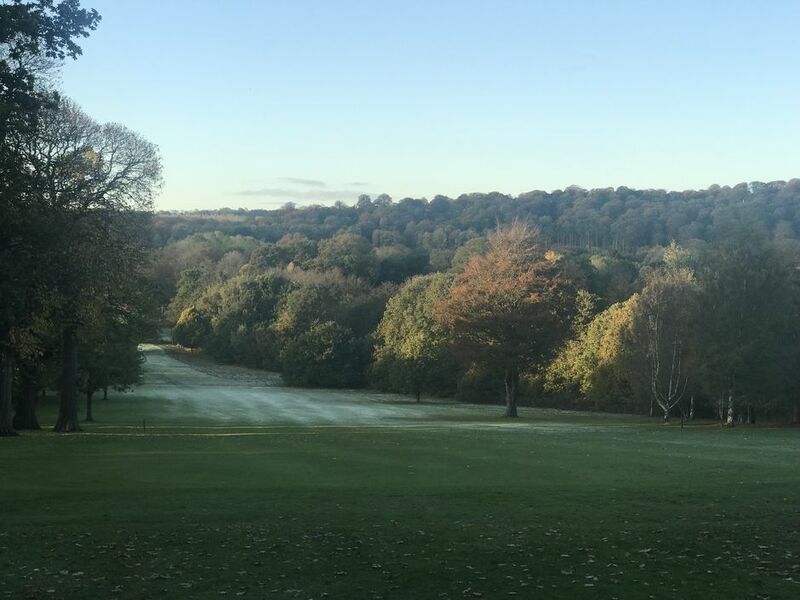 It was a gathering of tired, but happy golfers that assembled in the smoking room after the event…" The Evening Sentinel had a special report which waxed lyrical on the future of Trentham, now that it had successfully entered the world of professional tournaments. Unfortunately, local men had a hard time - Hughes, the Trentham professional, was way down with 156, only just above Dodd from Leek at 157. At least they did not suffer the indignity of the professional whose ball got stuck in the branches of an oak tree! The Professional Tournament was repeated in 1930 for a cup specially presented by the Evening Sentinel. The weather was fine, but gusty, and the course was judged to be in excellent condition. Sayner this time was toward the end of the field, behind Ralph Hughes of Trentham who improved his previous year's score to 150 The winner was the Wallasey professional, W H Davies, whose 141 was three strokes better than the two who tied for second place, P H Rogers of St Aline's and A Dailey of Halifax. Once again, Braid and Herd put in an appearance, and a special class for such "old gentlemen" was created - prize, a china tea service. From the report of Dr Loughnan's speech presenting the prizes- he was club Captain - it seems that the intention behind these competitions was, very decidedly to raise the game of Club members. If that was the case, the quality of the day's play could well have been an education. The winners of the French Open and the Irish Open Championships were there - the brothers Whitcombe - but were continually in the bunkers, and, as it happened, tied on 146.